After a long, dreary winter, are you hoping to re-energize your retail store’s sales this spring? If so, try these tactics for using signage to attract customers into your store and get them to spend, spend, spend. Is your store’s main outdoor signage fresh, up-to-date and clean? If your sign lights up, check to see that it’s working properly. Nothing turns potential customers off like a burned-out sign. It sends a signal that the owners simply don’t care. How does your store’s sign read from a distance? If your location has been up and running for a while, you may not have paid attention to how new businesses opening up nearby can steal the thunder from a sign that used to grab all the attention. Drive and walk by your location from all angles. Does your sign stand out from a distance, or do customers have to get right next to it to see it? By that point, it’s too late and they’ve already driven by. Does your sign clearly signal what you sell? It’s great to be clever, but if your store name alone doesn’t indicate your product mix, maybe you need a “sub-title” below your main sign. For example, a new location opened in my neighborhood. Based on its name, “The Joint,” I assumed it was a medical marijuana dispensary (legal here in California) and steered clear. Only when they put up a sub-title under their main sign, “Chiropractic Services,” did I stop and check it out. If your retail store relies on foot traffic, try putting sandwich signs or chalkboard signs on the sidewalk or outside the door to highlight special events, sales and seasonal products. Make sure you check with local or mall zoning ordinances first, so you don’t run afoul of any rules prohibiting signs that block exits or inhibit traffic. You don’t have to be the Manhattan Macy’s location to wow customers with your store windows. Change them frequently with new displays to highlight seasonal merchandise or sales. Add signage to your windows to draw attention, but make sure it doesn’t block the view of the merchandise inside. Are your store’s hours of operation, phone number and website URL clearly displayed on the door? If customers stop by when you’re closed, providing this basic information can ensure you still capture their business later on. 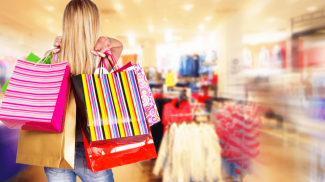 Once you’ve enticed customers inside your store, use signage to direct their shopping patterns. Identify aisles or displays with signage on shelves, hanging from the ceiling or even decals on the floors that direct them to “New Products,” “Gift Ideas,” “On Sale,” or “Clearance.” Try luring them through the whole store by putting sale items in the back so they have to walk past tempting displays of full-price merchandise to get to the deals. Don’t limit your signage to words. 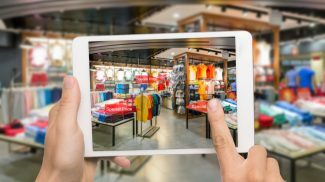 Just as in social media, images get attention in-store, too. Adding posters with eye-catching images and photos is a fun and affordable way to change up your in-store displays. Hanging vinyl banners on the front of your store can be a great way to advertise seasonal events and sales without breaking the bank. Keep the wording general (“Spring Sale Now!”) instead of including specific dates or prices, and you’ll be able to re-use the banners every year. 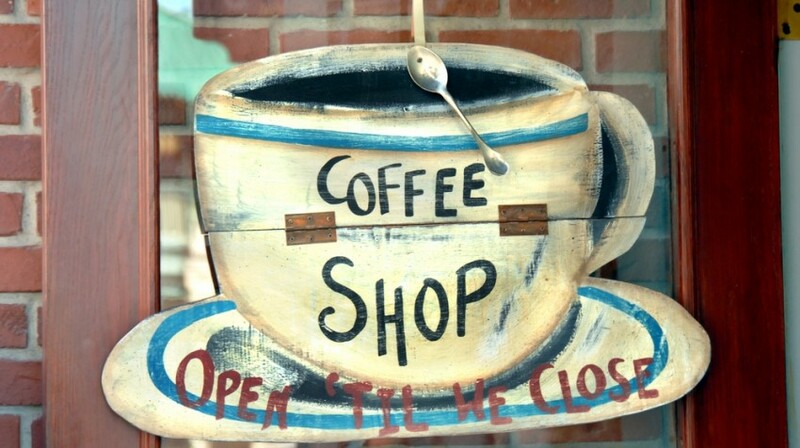 What retail store signage tips have worked to get customers into your retail business? Rieva Lesonsky is a Columnist for Small Business Trends covering employment, retail trends and women in business. She is CEO of GrowBiz Media, a media company that helps entrepreneurs start and grow their businesses. Follow her on Google+ and visit her blog, SmallBizDaily, to get the scoop on business trends and free TrendCast reports. How about having a monitor in the window with social media updates? The only problem I see with that is a lot of SMB’s aren’t all that great at social media and just post a flurry of “BUY THIS PRODUCT.” However, if they’re awesome at social media, then I think that’s a great idea and might encourage others to like/follow/share/RT/etc. For window and storefront advertising, I love pull up banners. They’re easy to set up, take down and store away and if you follow the manufacturer’s directions, you can change them out pretty easily and not have to buy the same hardware over and over again. I’ve gotten a couple from vispronet.com and they work really well. Images are your most powerful weapon when it comes to window display. You should always work it out to promote your items or services. If you can, post some deals and on sale times. This article is full of advice for designing company signage. Signage has a monumental impact on the future of a company, and it should not be taken lightly. Thanks so much for the insight!